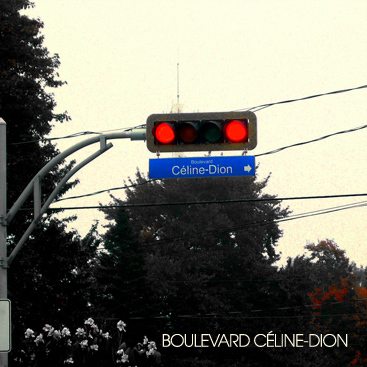 Canada must be an interesting place to live in, now that I have learned that there is a street that is named after Celine Dion. It’s not surprising, when you think about it, but still, it must be a strange sensation to walk in a boulevard and think about sinking in the ocean. Perhaps other thoughts will cross your mind while walking there, I don’t know, but I think it’s one inevitable notion, being seasick, that you cannot escape if you ever set foot there. Anyway, I hold this 3″ compilation album by Obsolete records, with seven artists who dedicate their music for this release to this boulevard, and not to some sort of public figure, real or imagined. That is what is written on the back of the album at least. Me? I believe everything I read, so there you go. So what do we have here? Well, some obscure shadows of glitchy electronic music, intense harsh noise and soft piano that might remind of past music hits by a certain Canadian singer that may or may not be related to this article. The most important component in this album, which you can find at some points in it, is a healthy and subtle sense of humor that is important for projects such as this one. Together, we have seven different approaches to the subject of the matter and as a result – a pretty interesting album with surprising twists and turns. Besides the conceptual link between the tracks, the artists form together a dynamic musical roller coaster in an attempt to visualize the many sights and sounds that are available at the boulevard of Celiene Dion. This limited release holds many beautiful, intense and interesting moments. I can only imagine how beautiful this street is if it has such a compilation to honor it!